A simple way to carry your drink when you're on the move. 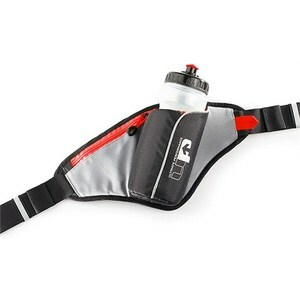 The Ultimate Performance Ribble Bottle and Holster is ideal for runners, walkers or anyone else who needs hydration on the go. With a fully insulated holster, it helps to keep cold drinks cool, and also has a small zipped pocket for essentials like your keys. The padded, moisture-wicking back keeps it comfortable even when you're training hard. Fits waist sizes 26" to 42"